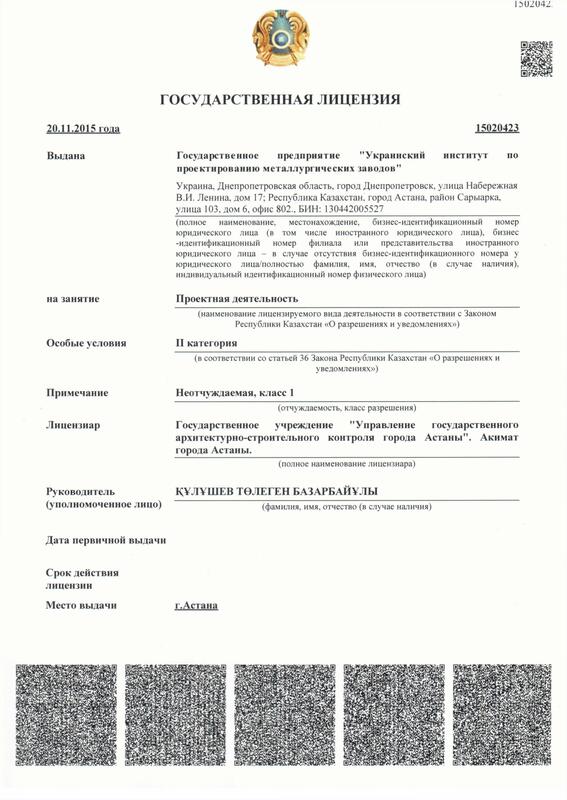 Efforts of the Institute personnel are aimed at permanent improvement of service rendering. 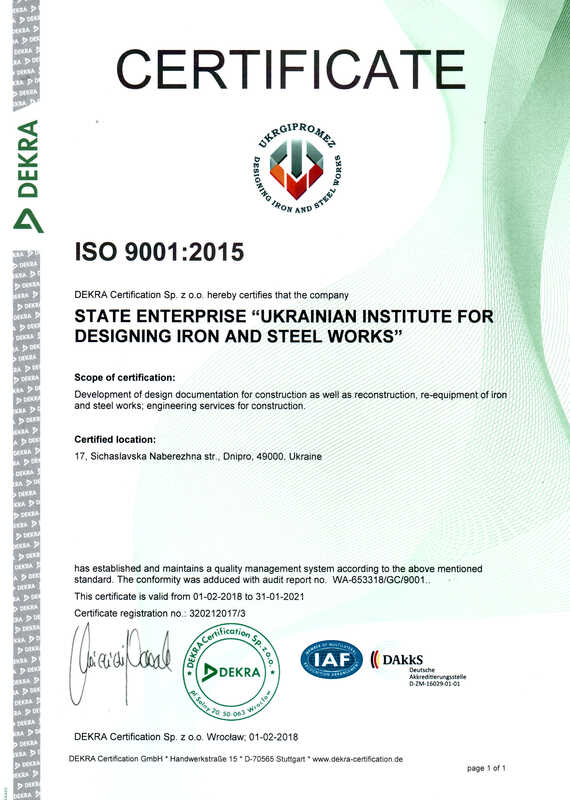 For this purpose, GP UKRGIPROMEZ experts find innovative engineering solutions, introducing state-of-the-art iron and steel production technologies, advanced equipment and environmental measures into designs. 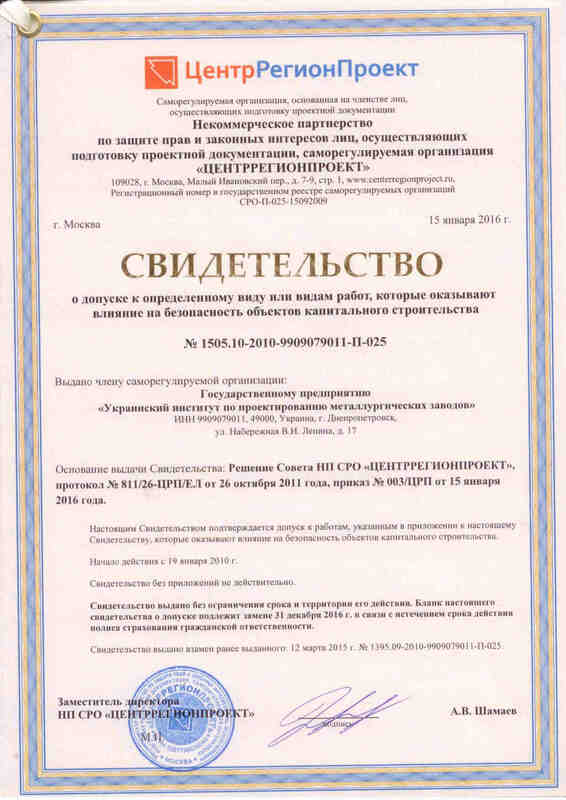 As a result, 16 useful models patents were obtained, and the Institute was entered into National Register of State-Supported Scientific Institutions (Certificate No. 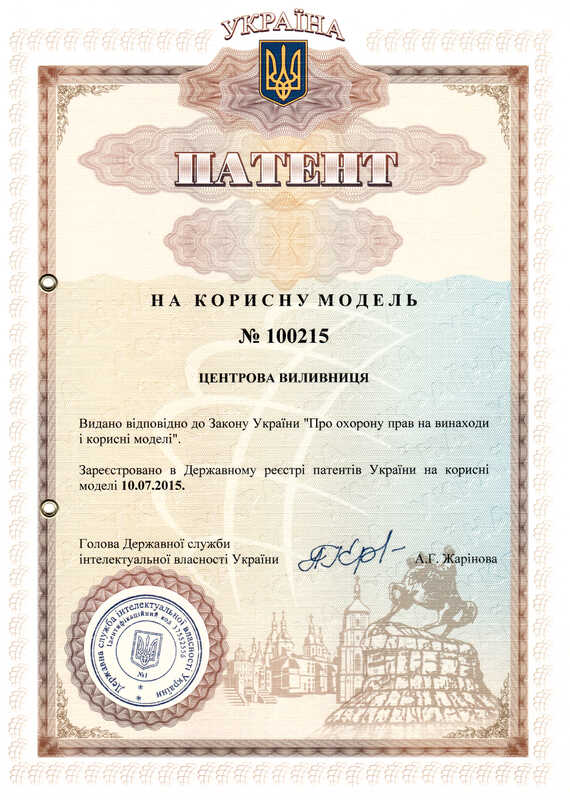 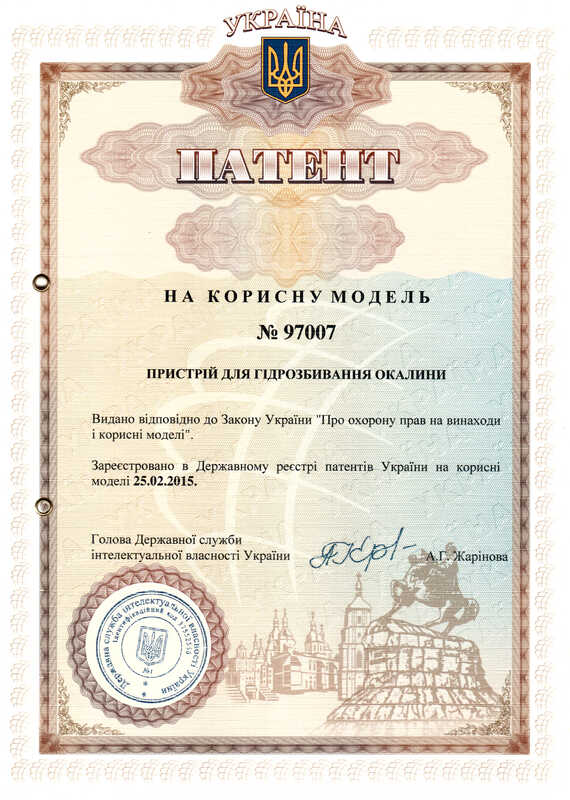 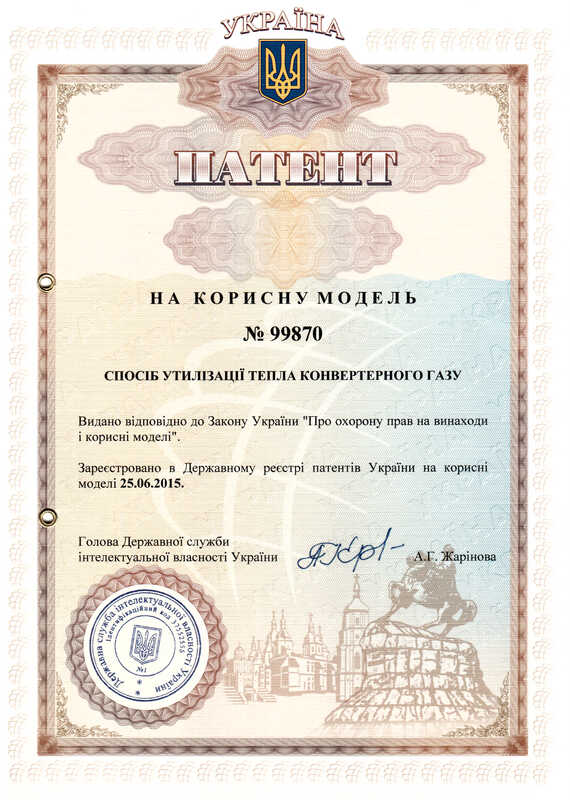 02047 of 17.09.2015 issued by Ministry of Education and Science of Ukraine). 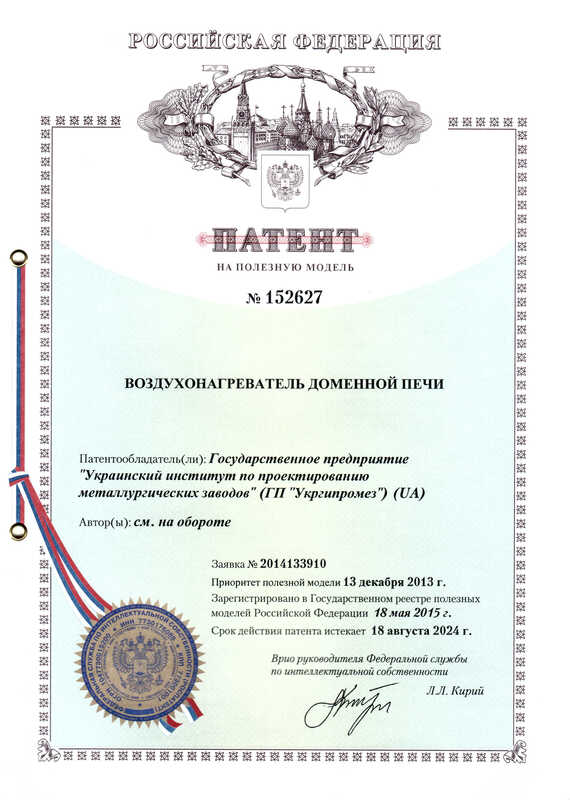 Among useful models there are BF stove, center riser, hydraulic descaler, BOF gas waste recovery method etc.